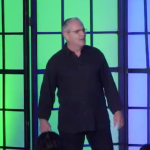 Dr. Tom Klapp discusses the philosophy of medicine and contrasts that to the chiropractic philosophy to show how easy it is to get new patients into your practice. To learn Dr. Klapp’s “Ultimate New Patient Secret” so you can attract more people into your office. Bio: Dr. Thomas Klapp graduated from Life University in 1979 and started Klapp Chiropractic Life Center in 1980, which changed its name to First Choice Chiropractic in 2001. He’s been named “Chiropractor of the Year” three times and was named Hour Detroit Magazine’s “Top Chiropractor” for 2012.